FRONT FACE ONLY! STEREO NOT PROVIDED! AM / FM tuner with 18 pre-set stations. Enjoy your music collection in high quality - whether it is on CD (including MP3, WMA and WAV files on CD-R/RW) or on a music player which you can connect directly via the front auxiliary connection. Just what I needed. 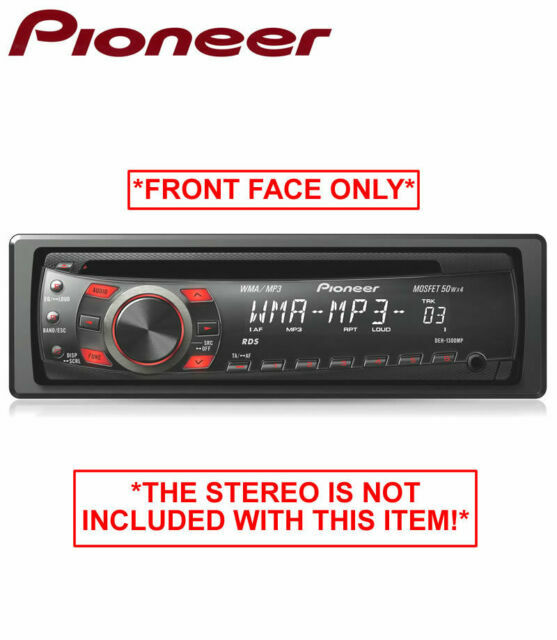 My last one was too complicated but this Pioneer player is Great. Simple to operate, Great Sound, Very Good price. I'm really happy with my purchase and can thoroughly recommend. Much better than factory fitted unit. Too good for the speakers. A good head unit that delivers. Very pleased with this unit. It's a quality item, easy to use, has a good overall sound, and looks good. good kit works well just what I wanted. Product was good but it was not what I wanted.